In case you haven’t heard already; Pink is the biggest trend for Spring 2014. From blush and peachy tones, to bright and bold pinks, there is a shade for everyone. 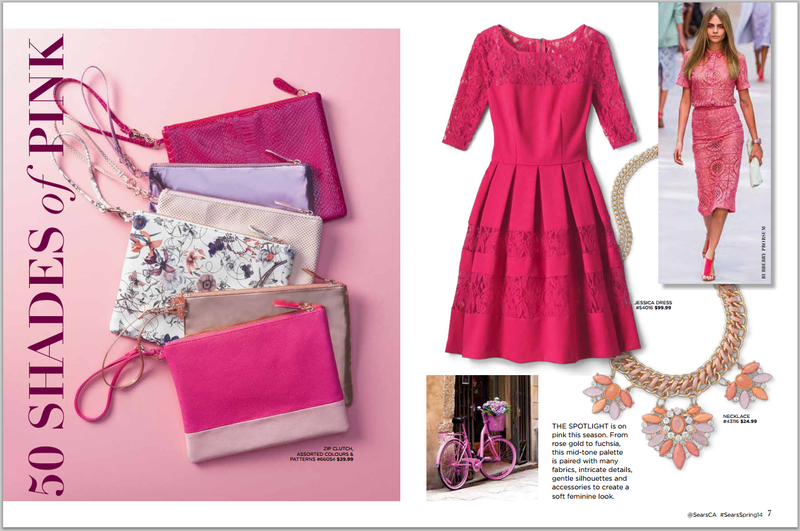 In fact, Sears Canada even included a ’50 Shades of Pink’ trend alert in their Spring lookbook, which obviously thrilled me to no end. Before we get into the pink love and some ideas on how to rock this trend, can we just talk about Sears for a minute? When was the last time you went into a Sears store? I’ve always found great basics (hello chambray shirt), outerwear, and even bags at Sears, the only trouble is; you have to be willing to pick through the racks. Unfortunately, the merchandising and displays don’t always do justice what is actually available in their stores. I would highly recommend giving your local Sears a second chance, especially with their new Spring line. Seriously, when was the last time that you heard of Sears curating a collection inspired by runway looks from Balenciaga, Burberry Prorsum, or Balman. This isn’t your mama’s Sears any more. Now about that pink trend. A lot of women shy away from pink because they feel it’s too bold, or it will make them look childish. Not to worry; as a professional pink wearer I’ve got you covered with some ideas on how to wear pink. Pick a shade that you love. You don’t have to wear a bright and bold pink. As I learned from Cynthia Florek, Sears Fashion Director earlier this week; pink comes in many shades. Everything from a light blush and rose gold to fuchsia counts. 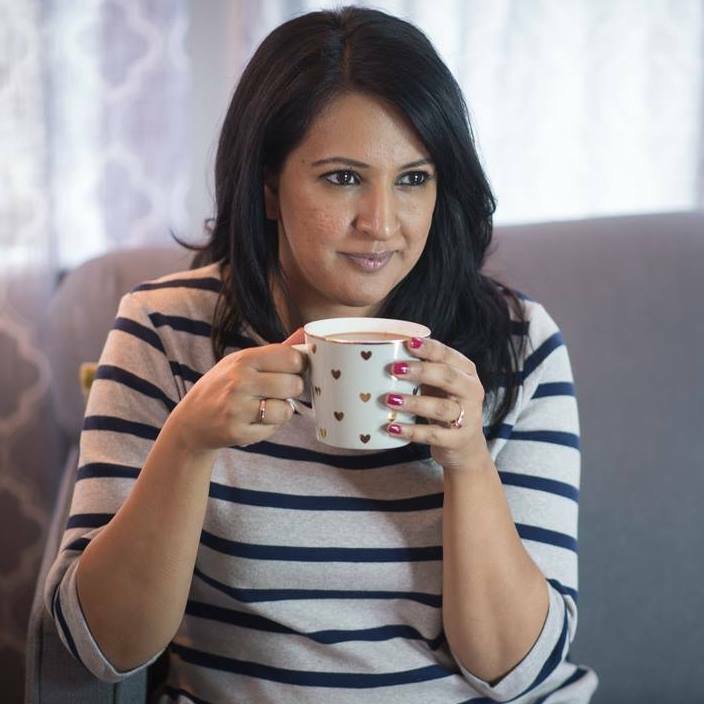 Take some time to try on different colours and find one that you feel compliments your complexion, and you’d feel comfortable wearing. Match your pink with neutrals. 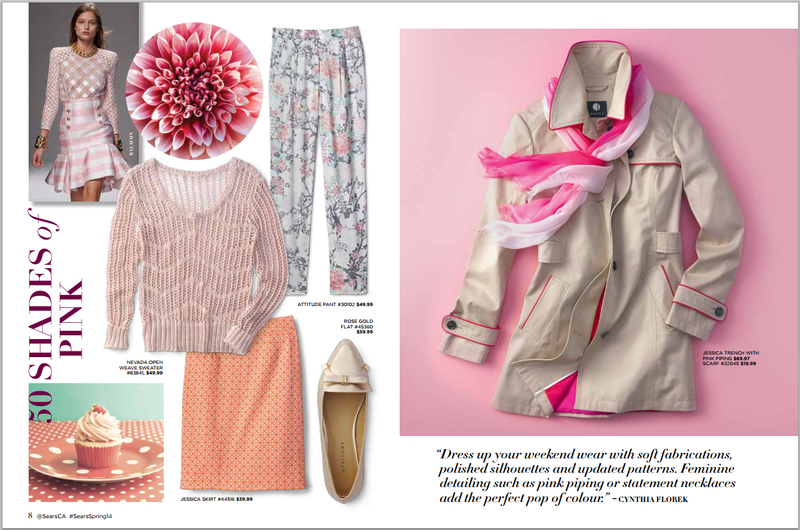 If you are just starting out with pink, trying pairing it with a neutral like tan or navy. While you can mix colours like red & pink, or even purple & pink – those types of pairings are hard to pull off for the every day. Treat pink as a neutral. This might seem strange given what I’ve said above, but it works also! I see a lot of people wearing pink as a statement piece for pop, but you can also treat it as a neutral. For example; pair a pink sheath dress with leopard pumps, just like you would do with an LBD. Pink doesn’t always have to stand alone or stand out. Pick grown up florals. If you are going to wear pink and florals together pick bold grown up prints. I tend to avoid really tiny flower prints, or anything chiffon and floral, those two looks always give me a very ‘little girl’ vibe. As with any trend, the most important tip; find what you are comfortable with and wear it like you own it! PS: In case you are curious about Indian wear, the pink trend definitely carries over into suits, saris, and even bridal lehngas. We are seeing a departure from the traditional hot pink tones though and things seems to be moving towards peach and coral based pinks. What is Your Welcome of Home? Keep trying! I saw some really nice blush pinks and corals that might work with your hair!